Our passion for never settling, and brewing quality, flavorful beers started with our founder, Jim Koch. He brewed the first batch of Boston Lager in his kitchen – a recipe that belonged to his great great grandfather that he found in his father’s attic back in the early 1980’s. Jim had a belief: that beer drinkers deserved a better American beer option than what was available at the time. But, even though we grew, we continue to be an independent craft brewery that’s committed to brewing only the best-crafted beers for our drinkers. At our Boston Brewery, we’re still trying new things every day; some good, and, well, some not-so good. We learn from the process, and never give up on the journey towards the next tasty beer. It’s our commitment to you that keeps us innovative, inspired, and striving to become better every single day. Lets just say we’ve come a long way since that first batch in the kitchen. knows what they want, and moves forward bravely with an uncompromising spirit, despite the risks. Jim Koch took an entrepreneurial risk in 1984 to brew a better beer for the U.S. beer drinker. 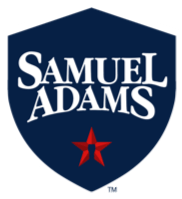 Now one of America’s leading independent craft breweries, Samuel Adams helped start a craft beer revolution that redefined the way people think about beer. In his National Best Seller, Quench Your Own Thirst: Business Lessons Learned Over a Beer or Two, Jim offers unprecedented insights into the whirlwind ride from scrappy start-up to thriving public company. From pioneering aging beer in used spirit barrels to the innovative brewing process behind Sam ’76, we are constantly innovating.